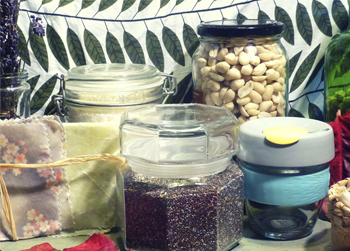 This July, together with Love Food Hate Waste, Boomerang Bags, Birth Wise Wellington, NappyMojo, Kaicycle and the Sustainability Trust and in support of Plastic Free July, Wellington City Libraries will be hosting a series of educational talks around sustainable living. Join us at Central, Karori and Newtown libraries as we discuss some small and easy changes that you can make to your everyday life to help reduce your waste to landfill, minimize your carbon footprint and help to protect the environment. 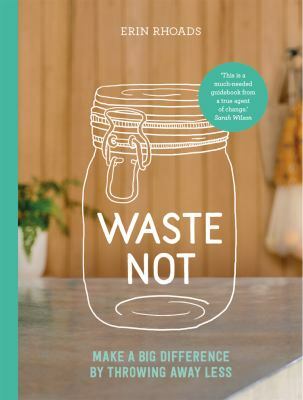 For the first talk in our Sustainable Living Series, join Wendy Bertholet, from the Wellington City Council Waste Minimization Team & Pip Cameron from Boomerang Bags for a lunchtime talk on Tuesday, 25th July at Wellington Central Library. 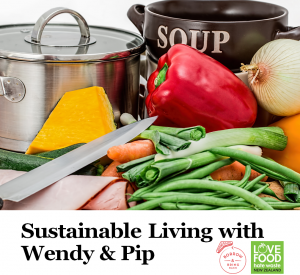 Wendy and Pip will be on the ground floor in the Young Adults area starting at 12 pm to talk about some simple ways to make changes to your lifestyle and reduce your waste to landfill, from making the most out of your food to reducing your use of plastic! 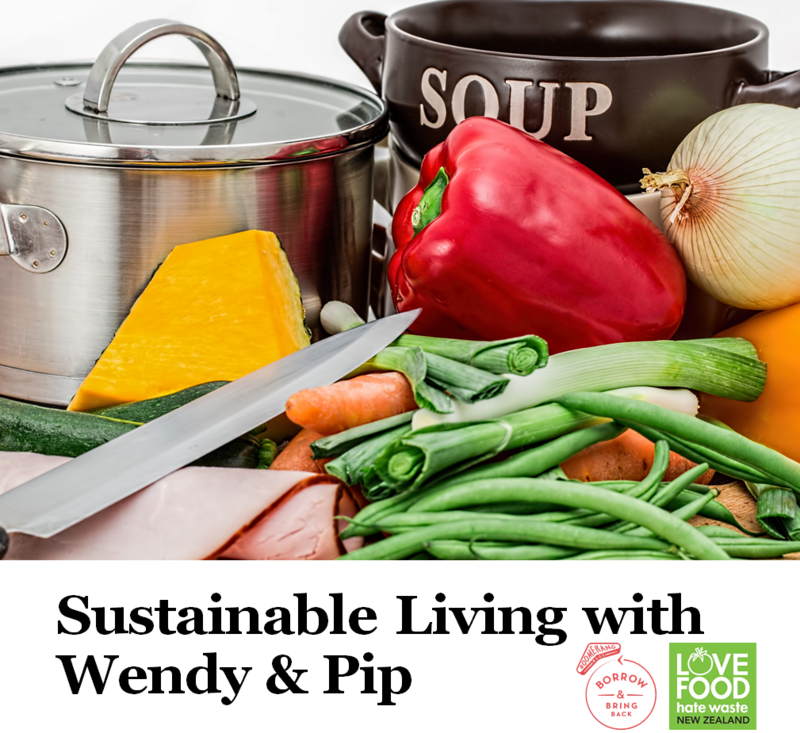 Wendy will be talking about the Love Food Hate Waste Campaign and will be sharing lots of winter tips and tricks on how to reduce your food waste! 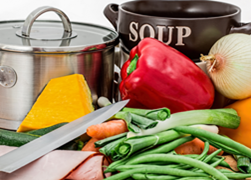 Check out the Love Food Hate Waste website and Facebook page for tonnes of info on storage, recipes and easy ways to reduce your food waste. You could also check out the Wellington City Council Rubbish & Recycling page for info as well. Pip’s main area with Boomerang Bags is “Waste Diversion and Logistics” for Wellington and she helps to organize the Mt Vic and Aro Valley based volunteers group. She’s mainly interested in resourcefulness and efficient systems so the project can be self sustaining. Pip will be talking about easy ways to reduce the use of plastic and plastic bags. For more info, check out the Boomerang Bags website and Facebook page. Also, take a look at the Plastic Free July and Plastic Free Tuesday Websites for other useful information on how to reduce your use of plastic and waste to landfill. 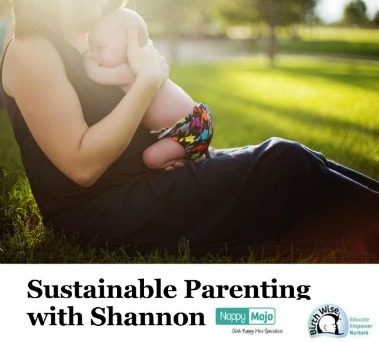 The second talk in our Sustainable Living Series will be with Shannon Unka, Owner and Operator of NappyMojo, Neonatal Nurse and Mum, at Karori Library after Baby Rock & Rhyme at 11:15 am on Thursday July 27th July. Shannon will be there to talk about some small and easy changes that parents can make to help minimize waste and bring sustainability into parenting. Come and have a chat about a range of things from wipes, breast pads and reusable sanitary products to lunch wraps, un-paper towels to cloth nappies and making it work in real life. To read a bit more about Shannon and NappyMojo, check out their website and Facebook page. Courtesy of Birth Wise Wellington, there will be a giveaway of Sustainable Parenting Packs to help you make sustainable parenting choices and reduce the environmental impact you and your new family makes. For more information about Birth Wise Wellington, their classes, meet ups and more resources for parents, take a look at their website and Facebook page. Also, check out their ‘Top 10 Tips for Sustainable Parenting‘ as well! We also have a tonne of resources for parents and families on our Parenting page , including our monthly recent book picks, shelf help, educational information and resources and more! If you can’t make it, don’t worry! Come along to Wadestown Library on Monday July 31st at 11:15 am right after pre-school Story Time Session, where Shannon will be giving this talk to another group! Heading to the Newtown Farmers Market on a Saturday? Swing by the Newtown Library on July 29th July at 11 am for the 3rd talk in our Sustainable Living Series! 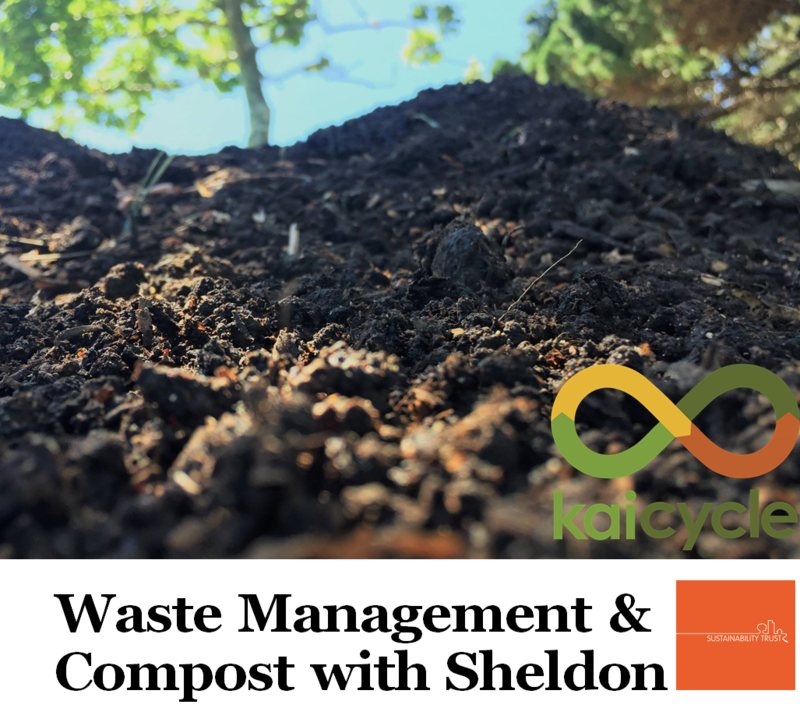 Join Sheldon Levet, one of the Kaicycle Facilitators, as he talks about composting and how easy it can be for individuals and communities to reduce their waste. 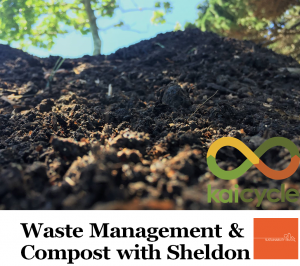 With support from the Sustainability Trust, learn more about composting and different ways to reduce your waste. Sheldon will also be talking about the Kaicycle, what they do, their volunteers and the urban farm based in Newtown. Check out their website and Facebook page for more information. 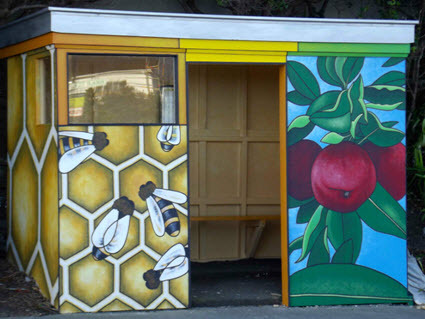 Kaicycle and other community projects are supported by the Sustainability Trust, an organization working to help people in Wellington create warmer homes and reduce their impact on the environment. Laura-Kate Howells, the Sustainability Trust Educator will also be there on Saturday to talk briefly about what Sustainability Trust is up to! For more information about the Sustainability trust, take a look at their website and Facebook page and even better to get involved check out their ‘what’s on in your community’ page! Keep up to date with new books, magazines and online databases with our Environment and Sustainability popular topics page. an abundance of food at puanga, when the blossoms become fruit, that is puanga. Place: Central Library Second Floor, near newspapers – (the library book sale is taking place Ground fFoor). Fred Allen will present his thoughts on Rongoā Māori and native plant remedies within traditional and contemporary paradigms, and subsequent contemporary medicinal developments. Fred Allen is a Rongoā Māori practitioner, New Zealand native herbal medicinal product manufacturer and specialist New Zealand native plant horticulturist. Fred has participated in the NZ Health and Wellness Industry for over 30 years and has invested in development of personal specialist expertise in native flora, NZ biodiversity, ethno-botany, phytochemistry and therapeutics of NZ endemic and indigenous herbal medicine. He identifies and separates his work within both Māori and Western paradigms. He was invited by the South Korean Government to represent New Zealand at the World Traditional Medicine Expo during 2011. This is the third week of our Whanake Taiao series of talks about Environmental Sustainability, held here at Wellington Central Library to celebrate Matariki. This week’s talk is all about bees and fruit trees! Sarah Adams and Cenna Lloyd : urban agriculture and beekeeping. Sarah Adams describes the growing of fruit trees within our city boundaries: there is further information on the WCC website. Cenna Lloyd will describe beekeeping tips for the city, and there is more info available on how to Bee Friendly in Wellington here. Place: Second Floor, Central Library (near newspapers).